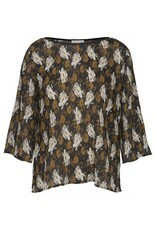 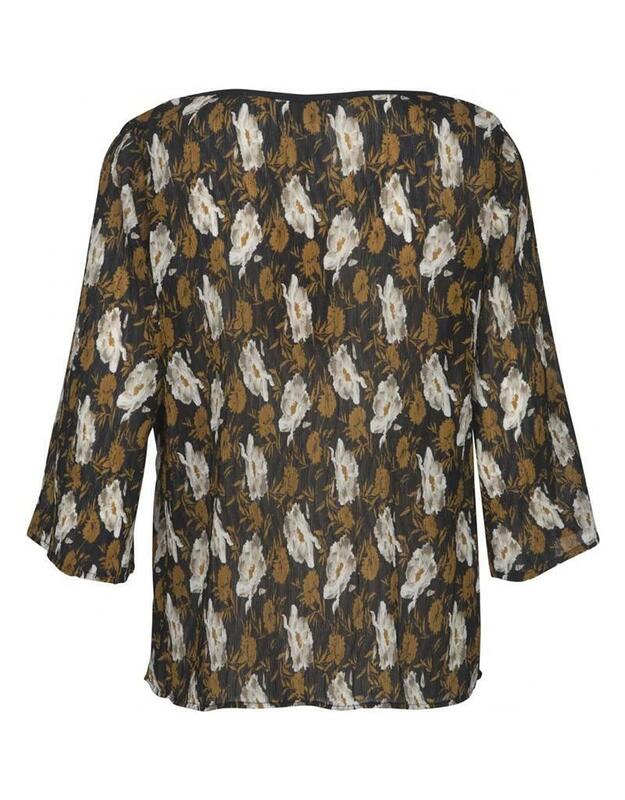 Dora blouse is a trendy blouse with floral print on plissé. 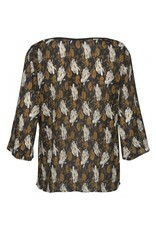 The blouse has 3/4 sleeves and loose fit. 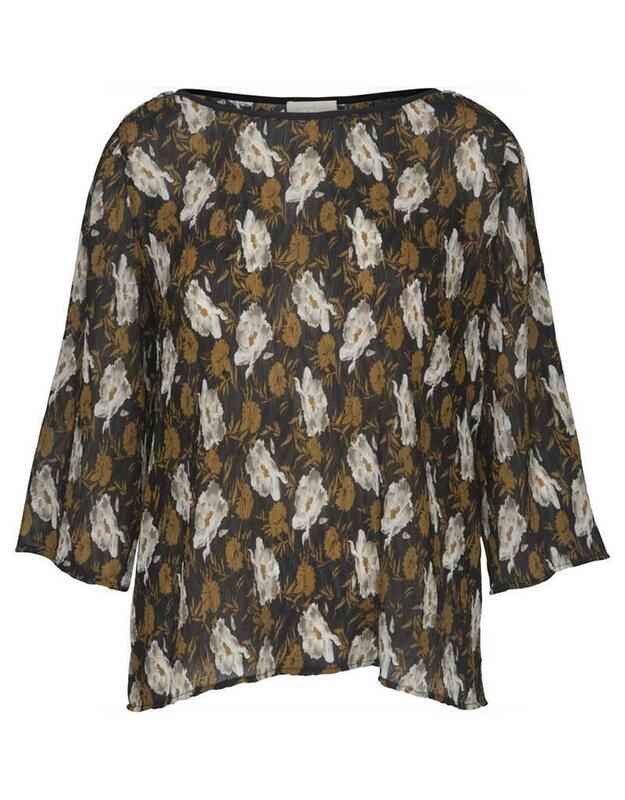 Style Dora blouse with Dora pants for a unique co-ord outfit or wear it with jeans and a cardigan.